These whimsical ornaments are made from contrasting pieces of wood. The ones pictured are made from canarywood and walnut with maple wings. The body of each pig is approximately 4.6” long and 3.5” tall and .625 thick. The wings are made of ¼” maple wood. 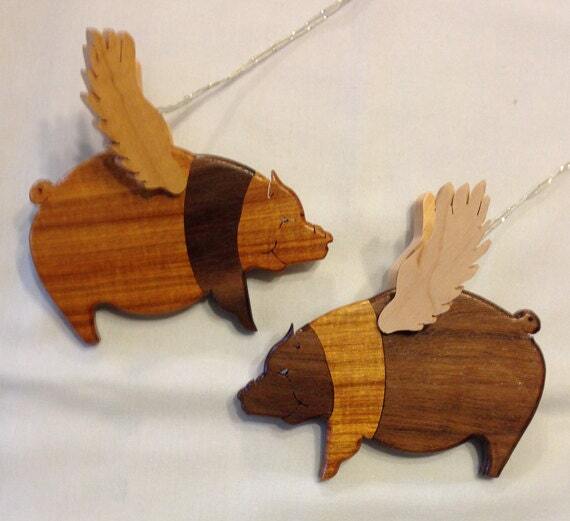 This is a great gift for the pig lover or that person whose favorite saying is "When Pigs Fly".